The Great Hope (Hoax) Exposed! 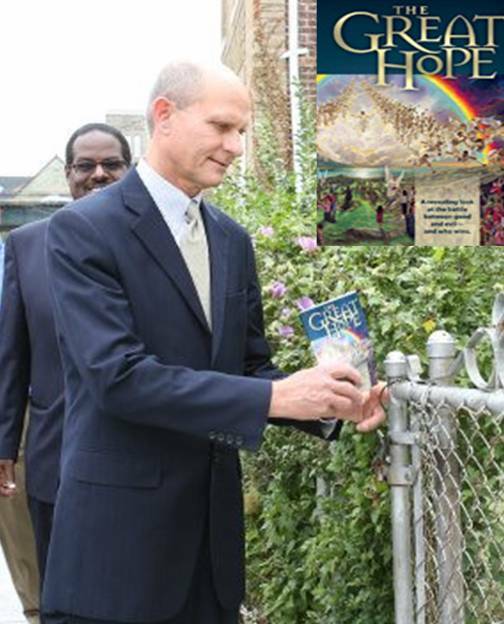 After President Ted Wilson was elected in 2010 during the General Conference Sessions, he pledged to distribute the book The Great Controversy. First called The Great Controversy Project, Ted Wilson launched this campaign by mailing 22,000 books to all surrounding postal addresses neighboring the General Conference offices. Later, The Great Controversy Project had been expanded and President Ted Wilson pledged to distribute over 100 million copies of the book The Great Controversy world wide. 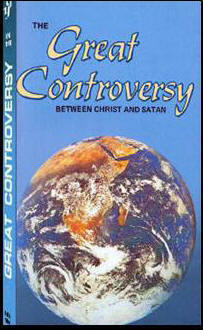 In 2010 we were encouraged to see how the truth was going to be shared in the book The Great Controversy. However, today we are saddened and perplexed over the most recent developments. We have since learned that the name of the project has been changed from The Great Controversy Project to “The Great Hope.” But that is not the issue. The book [pamphlet] that is now being distributed is an insufficient, poor, condensed, diluted version of the landmark book The Great Controversy. Missing from this new version are all the distinctive, end-time, testing truth messages for this time. (1) the cleansing of the heavenly sanctuary message, (2) the second angel's call to come out of Babylon, (3) the third angel's message exposing Sunday as the Mark of the Beast, (4) 1844 as the hour of God's judgment [part of the first angel's message], (5) the investigative judgment [part of the first angel's message], (6) the identification of who and what is Babylon, the harlot woman, and her daughters, (7) the identification of the beast of Revelation 13 and 17, (8) the little horn who persecuted the true church from 538-1798 and will be the chief instigator in these last days (9) Luther and all the reformers and their trials and persecution which will again be repeated, (10) the rise of the Advent awakening of the 1840s culminating in formation of the Remnant church and the seed of the woman, who keep the commandments of God and have the testimony of Jesus. Notice what the prophet wrote: “I am more anxious to see a wide circulation for this book than for any others I have written; for in The Great Controversy, the last message of warning to the world is given more distinctly than in any of my other books.” Publishing Ministry, 358. Yet this is not the case with the book The Great Hope. This book doesn't give the "warning to the world" distinctly. Have Seventh-day Adventist leaders become cunning and crafty in their approach nowadays? They have not only renamed The Great Controversy with another title, The Great Hope, but they have obliterated the teachings of Ellen G. White. Have church leaders done this so as to give the impression that they are preaching the three angels’ messages while appeasing the conscience of the conservative brethren within the church - and yet at the same time raise millions of dollars from unsuspecting church members? Could the purpose of this huge expenditure of money be to convince you that the church is actually evangelizing the world with the end-time, testing truth messages of Revelation 14? Even though the pamphlet, The Great Hope, does tell the readers about the Seventh-day Sabbath, the non-immortality of the soul, and the second coming of Christ in very mild tones; yet, it lacks the power, strength, and conviction in which Ellen White's original book accurately conveys and delivers. The Great Hope, with 11 chapters and under 100 pages, was prepared for the modern reader who doesn't have time to read. The Great Hope can be read in one hour because it is so generic and hurried that it basically scratches the surface of truth without digging deep into the issues of the end time. It fails to give you context and perspective as to why these truths are significant and relevant for this time of world-wide apostasy. Like we mentioned before, it doesn't explain the issue of the final test between the mark of the beast and the seal of God. "The clergy will put forth almost superhuman efforts to shut away the light lest it should shine upon their flocks. By every means at their command they will endeavor to suppress the discussion of these vital questions." Great Controversy, p. 607. This is exactly what Ted Wilson and the other leaders have actually been. 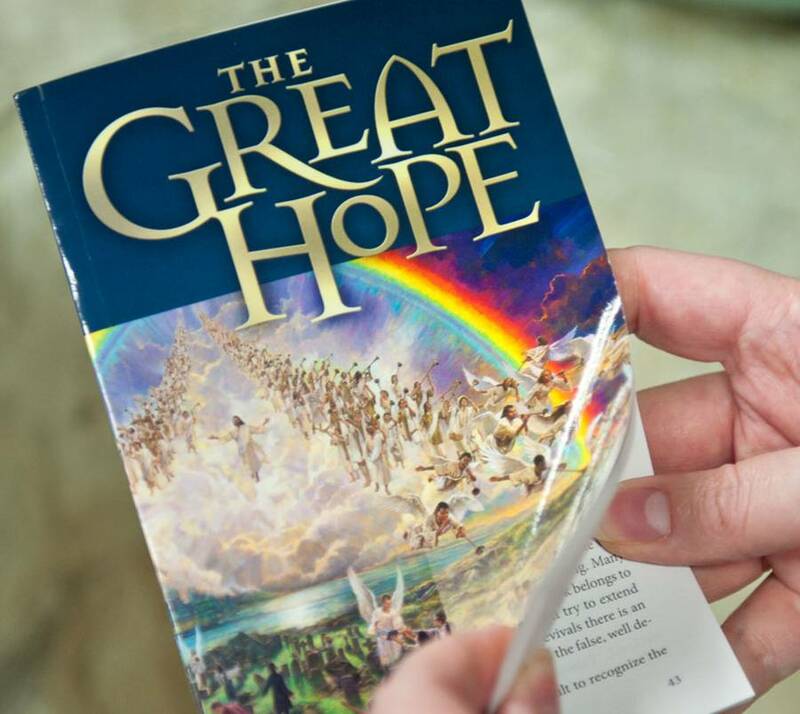 They publicly advertised the promotion of the three angels’ messages through the book The Great Controversy, but in actuality, they are promoting a pamphlet that has been reduced to almost nothing. Could this be false advertisement? Will dissatisfied church members get their money back? Have people who have given large funds for this project been misled? Is this a scam or a rip-off? Friends, how can we play around with the most solemn truth ever entrusted to mortal men? We are living in serious times and people need to know how to prepare for what is about to take the world by storm: “We have a most important work to do,—the work of proclaiming the third angel’s message. We are facing the most important issues that men have ever been called to meet. All should understand the truths contained in the three messages; for they are essential to salvation.” Counsels to Writers and Editors, p. 175. 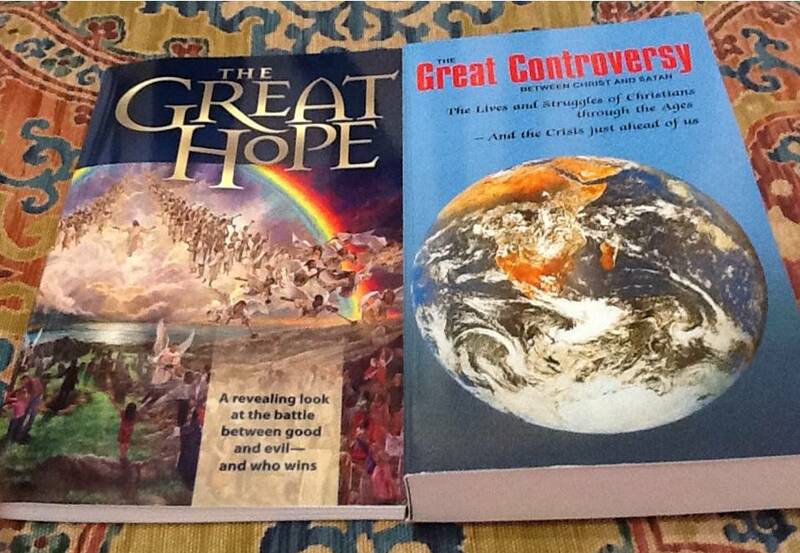 By God’s grace, we have already started distributing The “Real” Great Controversy book. Tens of thousands of people are starting to receive the book as a result of our newspaper campaign. We are promoting a free copy of the “Real” Great Controversy. How? We are sending the book to all those who respond to our free book offer through radio, billboards, newspaper ads, and soon—through worldwide television. Spreading the Three Angels' Messages Worldwide! "And there was war in heaven: Michael and his angels fought against the dragon; and the dragon fought and his angels, And prevailed not; neither was their place found any more in heaven." Revelation 12:7, 8.